Student: I have one picture in my head that just won’t go away. I’m a little kid, standing at the bottom of the stairs in my parents house in Brooklyn, and my father, I think it is, is screaming in my face that I’m a liar, and I’m terrified. I’m absolutely positive in that moment that he’s going to kill me. I was afraid to tell the truth, so I lied and then I got screamed at for lying and I don’t even remember what I did, but I remember him screaming at me and I remember just being terrified. A lot of woundings like that, but that was the one that just won’t go away. It was the moment of choice, my sister; you could have chosen in that moment to speak truth or to become a liar once again in this lifetime. What was your choice my sister? Student: Well, when he was yelling at me I had already lied. I’d already lied. Did you correct the lie? Student: I think so. I think I did. At least that one anyway. Are you certain my sister? Student: No, because it didn’t stop me from lying; I have lied my whole life - one thing or another - I told stories, especially to my parents, especially with myself. Do you understand how this relates to the teaching provided prior to this session? That the self chose to protect, to defend the ego, for it was the ego that was telling the self you would be damaged. The ego does not recognize that another is angered when the self is dishonored, disrespected, their intelligence insulted, when one provides the self with lies – purposefully – and then lies once again to defend the lie. Do you understand? Choice was provided to you at an early age to admit that the self had chosen incorrectly and to ask for forgiveness, to state that the self will change in future - will be different. Do you understand? Student: I do. I’m working on it. It is to recognize that the self’s choice to continue to choose those things, those responses of the lesson plan are those that triggered the responses of the other’s lesson plan. Do you understand? Student: I’m not sure. I was a little kid. I was four. I am not asking the child to understand, my sister. I’m asking the adult - do you understand? Student: If I understand correctly, then my choice to not tell the truth triggered the lesson plan of say, my parent, to react the way they did. Student: So the wounding that I received was my own fault, generated by my own behavior. The wounding received my sister, was that which was planned and was enforced by the lesson plan. Student: Agreed to by both. To understand is the goal; to understand the Self, to recognize that others are placed before you to show you that which lies within the self or that which is desirous of being implanted within the self. It is the ego that diminishes the one that is brought to the self that shows the self that which is possible. Those who are kind and gentle are recognized as weak and undesirable. Those who are tentative, uncertain are recognized as those to be dominated, controlled. Those who fail to detect the weaknesses of the self are those that the ego determines to prey upon, to use, to abuse, and to then throw away. It is for you my sister, to survey the landscape to determine those others that have been brought to you – that are kind, that are gentle, that are uncertain, that are tentative, that are supportive and caring – to see how the darkness within you destroyed your desire to implant these attributes within the self by sullying them, by making them unpalatable. It is to understand that your calling to lay the hands upon another should never be done until the self has eliminated negativity sufficiently to make certain that the self does not impose negative energies upon another; for it is the ego that states the self is healing another…the true self knows that the other heals the self. The self merely provides the other with energies that need be positive, untainted – that the self’s Teacher can then take and utilize to aid the other. The other’s Teacher never requires another human in order to gain, to garner energies to aid their self; it is the process of karmic calling that is honored, that your energy will be provided to another, to aid them in healing, for it is the self that has damaged others. It is then your responsibility to refill the positive energies utilized for another, so that they may be used again for the next and then the next and then the next individual. The self who fails to refuel the positive stores ends up draining the energy fields that are needed for the self. It is through lesson integration that positive energies are realized. It is Barbed communication that enables the self to easily identify the student of this lesson plan – the individual described by our sister (student) earlier was an obvious candidate for this communication style; it is to diminish all that are spoken to, it is to put in their proper place all that have been judged to be inferior – which will be a majority of others that are not like the self. We shall begin with the Theme to further illustrate the line energies – the theme TO ADMIT – to admit that the self is indeed the self’s lesson plan, that even though the self cannot yet see all components, all behaviors, all characteristics within the self’s behaviors, within the self’s responses – the self is willing to admit that all lies within, that all has been concealed from others and therefore, it has become concealed from the self. To admit that it is the self’s thinking that is the cause of most negative interactions, to admit that the self is not in control of the self, of the self’s thinking, of the self’s speaking, of the energies that are cast out upon others that damage purposefully. For the student who fails to admit that all these things are possible continues to damage others, continues to garner karma and is forbidden entry to the path by the Teacher, until the self steps forth and begins to admit that the self needs assistance, that the self is out of control and needs guidance, so that control of the self becomes primary. 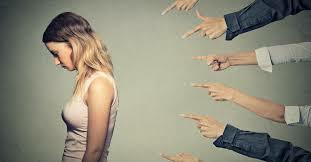 To feel is difficult with the lesson plan of Shame, for the self is focused upon the self completely – the self has forgone the pain that the self has so readily inflicted upon another. The self judges others who do the same, failing to embrace that the mirror is being employed to show the self the self, so that change may be chosen before further pain is inflicted upon another. The self that has yet to recognize the self in the mirror is one who continues to impose judgment upon those who suffer similarly to that which has been experienced by the self.